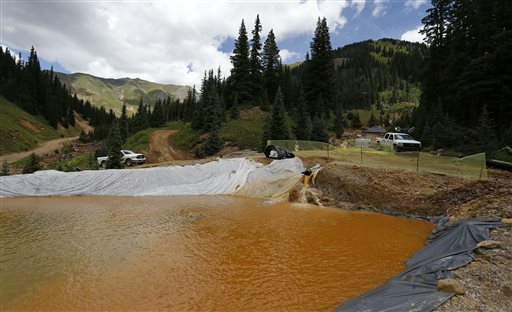 DENVER (AP) — Economic damage from a Colorado mine waste spill caused by the U.S. Environmental Protection Agency might be far less than originally feared after attorneys drastically reduced some of the larger claims, The Associated Press has learned. 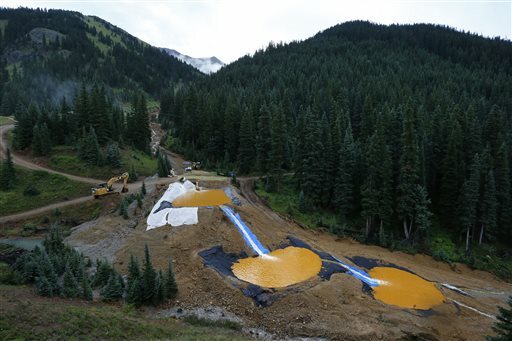 Farmers, business owners, residents and others initially said they suffered $1.2 billion in lost income, property damage and personal injuries from the 2015 spill at the Gold King Mine, which tainted rivers in Colorado, New Mexico and Utah. But the total now appears to be about $420 million. A single law firm that originally filed claims totaling $900 million for a handful of New Mexico property owners told the AP it had lowered their claims to $120 million. It’s still uncertain whether the White House and Congress — both now controlled by the GOP — are willing to pay for any of the economic losses, even though Republicans were among the most vocal in demanding the EPA make good on the harm. Under former President Barack Obama, a Democrat, the EPA said it was prohibited by law from doing so. Now that they’re in charge, Republicans have vowed to slash spending on the environment, leaving the prospects for compensation in doubt. 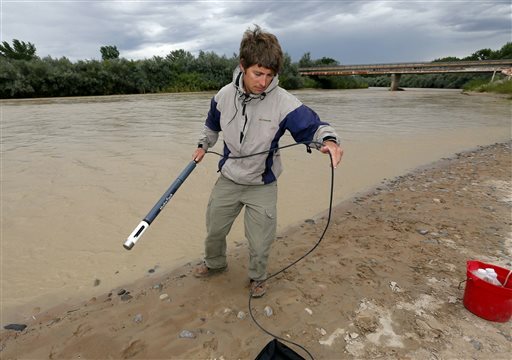 An EPA-led contractor crew inadvertently released 3 million gallons (11.3 million liters) of wastewater tainted with heavy metals from the mine, polluting the Animas and San Juan rivers. The crew was doing exploratory excavation work at the mine entrance in advance of a possible cleanup. Stretches of waterways turned an eerie orange-yellow, and the rivers were temporarily off-limits for agriculture and water utilities, as well as fishing and boating — important contributors to the area’s recreational economy. The EPA has said water quality in the rivers has returned to pre-spill conditions. Native American reservations along the rivers also were affected. The EPA said it received 73 claims for economic damage or personal injuries. The AP obtained copies of the claims through an open records request, although many details were redacted. The Albuquerque, New Mexico, law firm Will Ferguson & Associates filed claims totaling $900 million for about a dozen residents of Aztec, a town of about 6,100 on the Animas River in northwestern New Mexico. The residents say the contaminated water damaged their wells, soil and plumbing and caused health problems including chronic intestinal pain, rashes and memory loss. Will Ferguson, the firm’s managing partner, said the $900 million represented an opening position, and the attorneys never expected to recover that much. In January, the EPA was still using the $1.2 billion total for all the claims, which didn’t reflect the law firm’s revisions. EPA officials didn’t immediately provide an explanation in response to emails seeking comment. The EPA has acknowledged responsibility for the spill but said in January that federal law prevents it from paying the claims because of sovereign immunity, which prohibits most lawsuits against the government. The Navajo Nation is seeking $162 million for environmental and health monitoring, among other things, and is suing the EPA separately in federal court. Last week, citing the EPA’s sovereign immunity claim, the tribe asked the court to force the federal agency to compensate the tribe. “The U.S. EPA denied the Navajo Nation any remedy for the harm it caused and gave the Navajo Nation no choice but to pursue its claims in court,” said John Hueston, the tribe’s outside counsel. The federal government has asked the court to dismiss claims by both the Navajo Nation and the state of New Mexico, which asked for $130 million in lost taxes and other revenue. The state also is suing separately in federal court. Ten tourist-dependent businesses filed claims, saying they lost money when travelers stayed away. Farmers and ranchers said crops died because the river couldn’t be used to irrigate and that they had extra expenses from hauling untainted water to livestock. Some property owners said the value of their land plummeted because of the stigma attached to the spill. The EPA has noted it had already spent more than $31.3 million on the spill, including remediation work, water testing and payments to state, local and tribal agencies for their emergency response to the disaster. But lawmakers were infuriated — especially Republicans, some of whom portrayed the spill as a glaring example of EPA mismanagement. They have pressed the new EPA chief, Scott Pruitt, to reconsider the decision not to pay damages. At his confirmation hearings, Pruitt promised to review it. The EPA didn’t immediately respond to emails and a phone call seeking comment on whether he had done so. Colorado Democrats introduced a measure in Congress in 2015, shortly after the spill, intended to allow federal compensation for economic damages, but the bill died. Now, Congress appears to be waiting on President Donald Trump’s administration to make its intentions known. “We don’t know what to expect from this administration in regard to that,” said Liz Payne, a spokeswoman for Republican Rep. Scott Tipton of Colorado, whose district was hurt by the spill. “It’s still a waiting game for us at this point,” she said. Written by DAN ELLIOTT, Associated Press. Associated Press writer Susan Montoya Bryan in Albuquerque, New Mexico, contributed to this report. This is just one example of a vast number of abandoned mines in Colorado, and elsewhere in the West, which pose a water contamination risk. The Colorado folks have been able to hush this issue up for years, because they feared tourism would be negatively impacted. No longer. Utah has their own share of exposures, most recently acknowledged by the American Fork Canyon dam failure. Park City had its own Superfund site, of contaminated soil, that a subdivision was built on. The ability to hold the EPA accountable will be tested in this lawsuit. Do not hold your breath……..